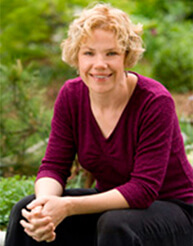 Christie Dustman is a life-long gardener and owner of Christie Dustman & Company, Inc. In their second decade of design and hands-on creativity, Christie Dustman & Co. has established hundreds of gardens, which continue to flourish and delight their owners. “A job well done is when my Clients and their new garden fall in love” says Christie, Principal Designer. As we learned in our previous posts in this series, you can’t purchase Japanese Barberry or Burning Bush in Massachusetts because they’re invasive species. Though we often see English Ivy taking over landscapes and even houses, you can buy it almost anywhere plants are sold. This begs the question: is English Ivy is an invasive species? You betcha. English Ivy is an aggressive exotic plant that outcompetes other plants. It can even kill off tall trees! Let’s get ahead of the game and consider a friendlier groundcover plant, Barren Strawberry, a groundcover that offers some excellent characteristics to enhance your garden. English Ivy has been a standard go-to groundcover plant for years, especially in hard to grow, heavily shaded areas. It’s a rather hardy plant, but is not known for its flowering stage. In fact, English Ivy is most aggressive when it does go to flower. This is because it only goes to flower once it starts climbing. Once English Ivy starts climbing a structure, it must be heavily maintained. This is especially important around the home, where English Ivy is capable of damaging gutters, wood fences, and cracked masonry. If it gets to the point of having to be removed, English Ivy can cause damage at that point as well. It often leaves behind a residue that’s very difficult to remove. Barren Strawberry is a groundcover plant native to the Eastern U.S. It can be a bit aggressive, but that can be a benefit when trying to fill an area quickly. Unlike English Ivy, though, Barren Strawberry is not a climber, so it won’t cause the kind of damage that many invasive species can cause when they spread. Personally, I notice this plant the most in the spring after the early spring show of bulbs and before the perennials and annuals really start rocking with the warmer weather of late May/early June. During this gap, I often see a solid blanket of yellow Barren Strawberry flowers in full bloom! One significant advantage of English Ivy when compared to Barren Strawberry is its shade tolerance. If you need a groundcover plant in a deep shade, I recommend considering Japanese Pachysandra. Not too many ground covers have a showy flower, but this one does! This concludes our showdown between some of the most commonly requested invasive plants and more friendly, native alternatives! Many invasive species are not well suited (or perhaps too well suited) to our New England ecosystem. I hope you get to try out the alternatives mentioned in your own landscape – feel free to mention your own native plant alternative success stories in the comments! This entry was posted in Education, Plants, Uncategorized and tagged Barren Strawberry, English Ivy, groundcovers, Invasive plants, native plants on November 10, 2017 by Christie Dustman. Copyright © 2014 Christie Dustman & Company, Inc. All rights reserved. website design by Medved Design and development by Blackrock Networks, Inc.